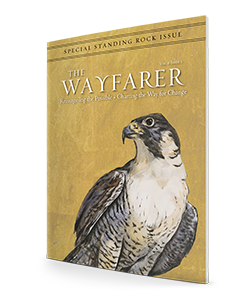 The Wayfarer: The Water Protectors of Standing Rock. Our definition of a “wayfarer” is a wanderer whose ability to re-imagine the possible provides the compass bearings for those on their way. 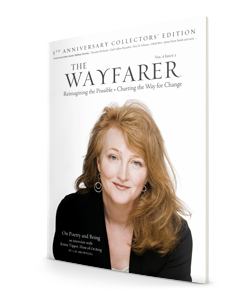 A wayfarer can be a writer, artist, musician, activist, volunteer—anyone who is charting the way for change. 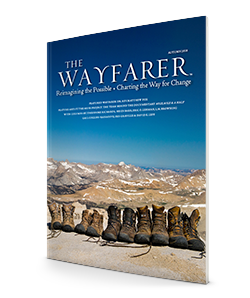 Each issue we feature a profile of a wayfarer and highlight what they are doing to be an agent of change in the world. 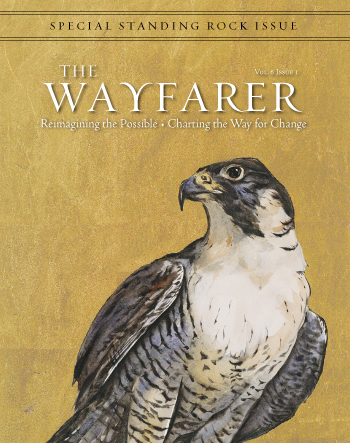 For the first time in the history of our publication, we have chosen to feature a movement as our wayfarer. In this special 24-page feature, Editor-in-Chief L.M. Browning profiles 8 water protectors who were at Standing Rock. Alongside the profiles are dramatic photos from Elizabeth Hoover capturing what really happen on-site. The Mindful Kitchen: Featuring seasonal recipes to offer on your home table.